If you took a scroll through your Instagram feed Tuesday morning and noticed some of your friends were fawning over a lot of over-the-top getups, or behind-the-scenes video of Madonna performing “Like a Prayer,” that’s thanks to Monday night’s Met Gala. The annual event is arguably the most spectacular party of the year, but it’s also the kind of thing that can easily pass you by if you’re not interested in the worlds of fashion, philanthropy, or celebrity culture. Still, some of your more engaged friends will want to talk about it at drinks this week, or at the barbecue you’re headed to this weekend. And to prepare you for that eventuality, we’ve compiled pretty much everything you need to know about the event in the handy guide below. So … what’s the Met Gala? This sounds insane and also very expensive. 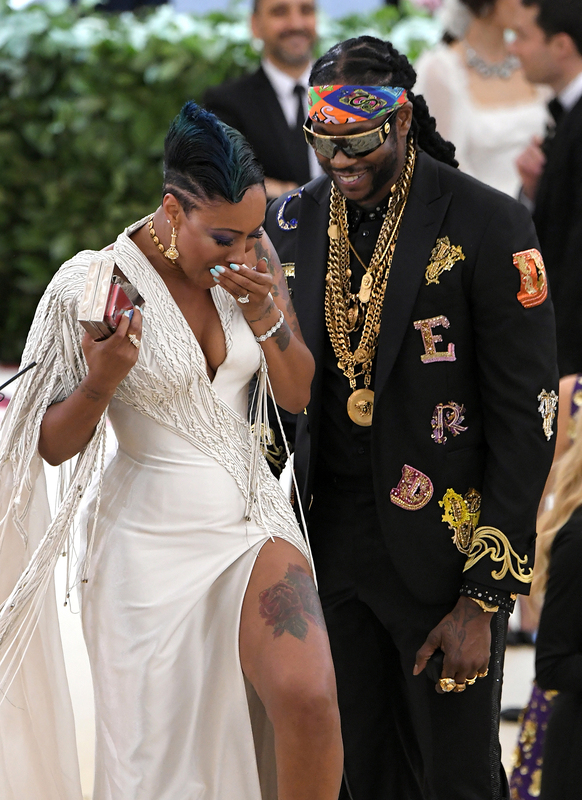 Worth noting: 2 Chainz (above) also proposed to his girlfriend Natasha Ward on the steps walking into the event (she said yes! ), and judging by the size of that rock, the tickets definitely weren’t the most expensive element of his evening. So what did people wear? The exhibit’s theme examines Catholicism’s impact on secular fashion, but the red-carpet theme was Sunday Best. Lots of people split the difference. While many of the women who showed up dressed in sensual takes on papal regalia (like Rihanna) or as modern versions of various saints (Zendaya Coleman as Joan of Arc, for example), some of the guys just wore rosaries or pinned cross-shaped lapel pins to their suits. Any actual clergymen show up? Actually, yes! Cardinal Timothy Dolan of the Archdiocese of New York was there, and so was Father James Martin, Twitter’s favorite Jesuit priest. Father Martin actually got a lot of compliments on his outfit, even though he technically showed up in his work clothes. And who were the best-dressed guys at the Met Gala? We thought you’d never ask. Below, all the guys who looked sharp on the red carpet Monday night.